Would you want a Butterfly for Christmas? Update: A spokesperson from HTC has been in touch, and told us: "As far as we know there are no plans to bring it [the HTC Butterfly] to the UK." So it's a bit of a head-scratcher. We've contacted Expansys and will update again when we hear back. The HTC Butterfly is up for pre-order here in the UK. Head to Expansys to put your order in now. There's no release date given though, or a price, so we could be in for a bit of a wait. The handset was previously pegged as not coming to Europe. At least, not under its global name of the HTC Deluxe. 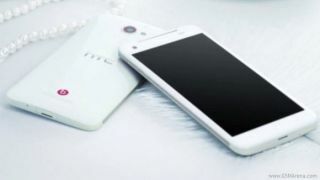 Things get more complicated, as in the US the phone is known as the Droid DNA, while in Japan it's called the HTC J Butterfly. The Butterfly is quite a beast. It boasts a 5-inch, 1080p screen, with an 8-megapixel camera on the back. Inside, a 1.5GHz quad-core Snapdragon S4 processor powers things, so it should give the Samsung Galaxy Note 2 a run for its money. There's no word which version of Android it'll come with, but expect it to be Ice Cream Sandwich at the very least, if not Jelly Bean. There's no risk if you put in your order now, as Expansys won't charge you until the handset is in stock and you confirm you still want to go ahead.